OPEC and Russia are meeting in a little more than a month to discuss the progress of their oil production deal and what’s next. On the face of things, there will be no surprises: every country taking part in the deal is still committed to the cuts until the end of the year. But Russia pumped more than its quota in both March and April. But Energy Minister Alexander Novak hinted that Russia might like to see a gradual easing of the cuts following the June meeting. But Iran sanctions will remove a certain amount of Iranian crude from international markets, making space for more from other producers, and Russia may just surprise its partners in the deal. 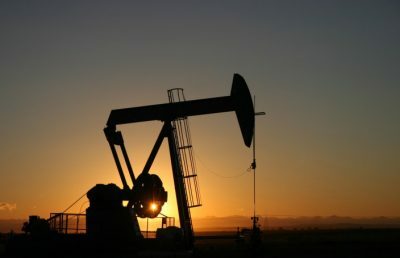 Citigroup commodity analysts this week estimated that Russia has 408,000 bpd in idled capacity, which constitutes 4 percent of its total, which stands at 11.3 million bpd. That’s a lot less than Saudi Arabia’s idle capacity, which stands at 2.12 million bpd, but is apparently still a significant enough portion of the total. Some of Russia’s biggest oil players made it clear long ago that they have ambitious production plans for the future, which the production cuts are restraining. Even with this restraint, however, some are actually expanding production, including Gazprom Neft, which last year produced 4.1 percent more oil than in 2016 despite the cuts. The increase came on the back of new fields in the Arctic and the company’s Iraqi ventures. Rosneft pumped 7.6 percent more oil last year despite the cuts. For the first quarter of this year it reported a 1.2-percent decline in production because of the cuts, but it has also said that it could return to pre-cut production levels within two months. An advisor to the company’s president told Russian media this week the cuts were implemented with a view to a quick return to production when cutting was no longer necessary, so Rosneft had taken care to ensure the return to pre-cut levels is indeed quick. Now, this might just be a general statement, or it could suggest that both Rosneft and Gazprom Neft—along with the other companies taking part in the cuts—are chomping at the bit, eager to expand into new fields. Gazprom Neft, for example, had a very ambitious production plan for the period until 2020, aiming to hit annual production of 100 million tons of crude by 2020. Because of the cuts, the company will now move this target rate by one or two years, it said today. Rosneft, meanwhile, is drilling new wells in Vietnam and western Siberia. Lukoil is expanding in the Gulf of Mexico and Iraq. Gazprom Neft is boosting production at its three Arctic fields, among others. Russia’s Big Oil is expanding, letting natural depletion take care of some of the production cuts. But they have made it clear that they would rather not curb existing production or stall new projects for much longer. “The agreement lasts until the end of the year. In June, we can discuss, among other issues, a question about reduction of some quotas during this time, if it is expedient from the market’s point of view,” Alexander Novak said in April. Now, with Brent close to US$80 and pretty likely to actually hit this price in the coming days, it may have become expedient to discuss some quota reductions. After all, why let Saudi Arabia be the only one to take advantage of the fall in Iranian crude supply after sanctions kick in?